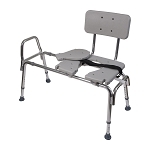 The Carex Transfer Bench from IndeMedical.com was designed and developed after extensive research and input from occupational therapists and healthcare professionals. 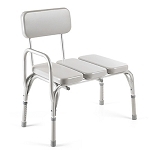 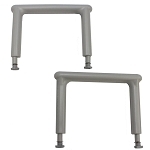 The backrest has two built-in handles to make positioning easier. 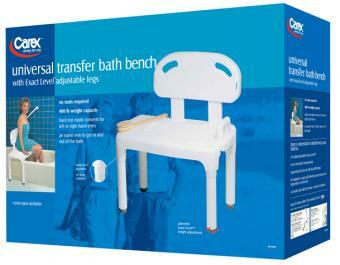 Transfer bench also converts easily for either left or right hand bathtub entry. 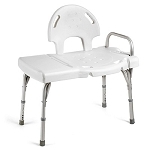 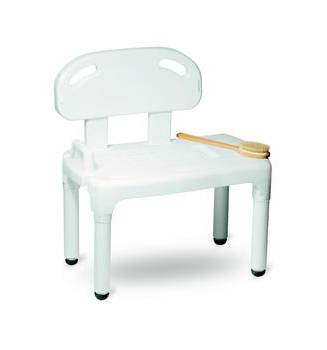 From the bath bench's compact size to it's extra weight capacity, this bathtub transfer bench is the best solution for bathing and independent living needs.